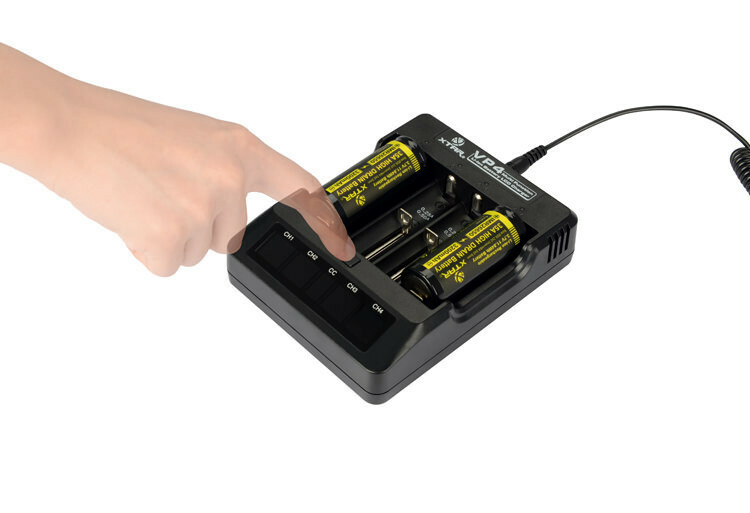 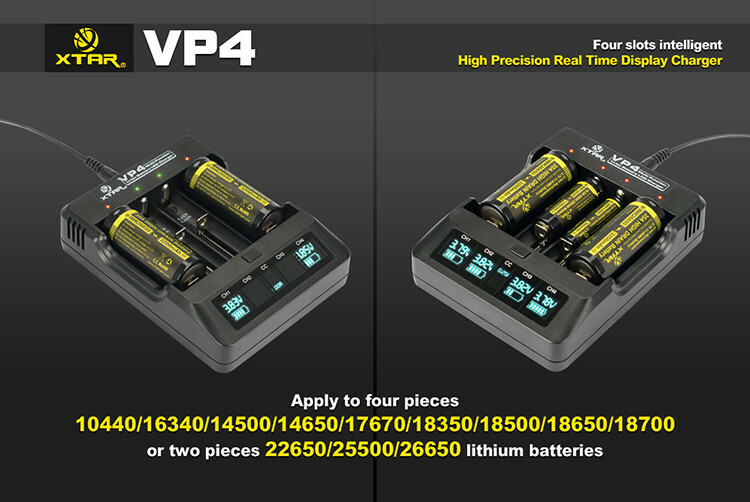 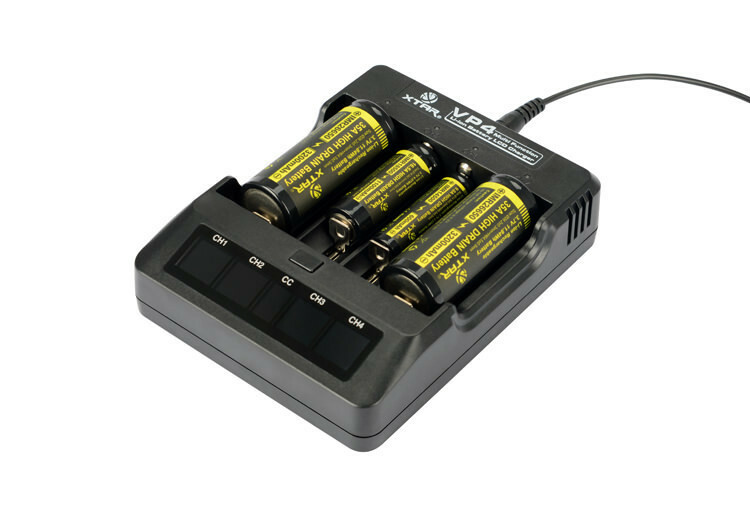 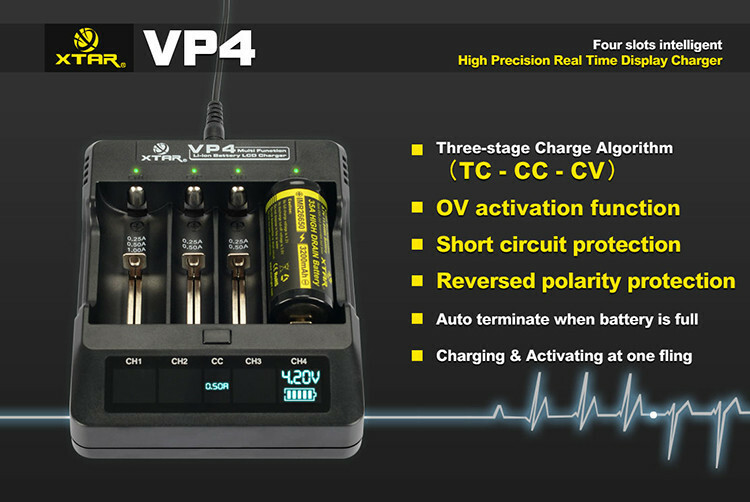 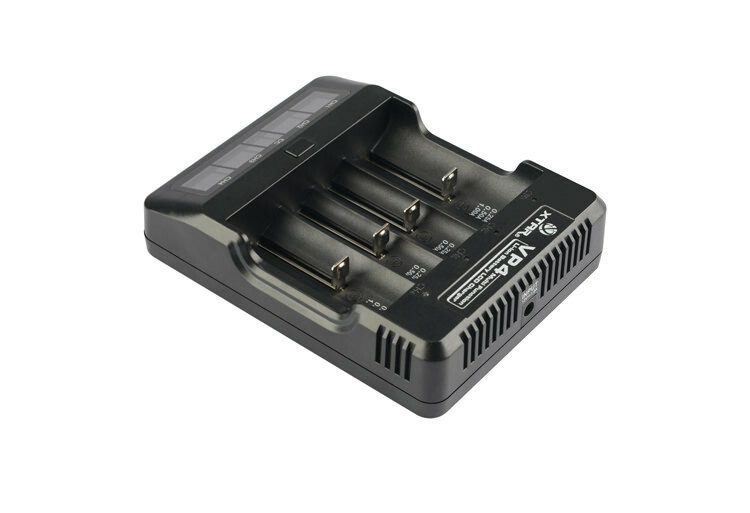 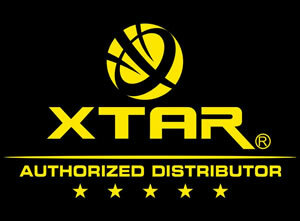 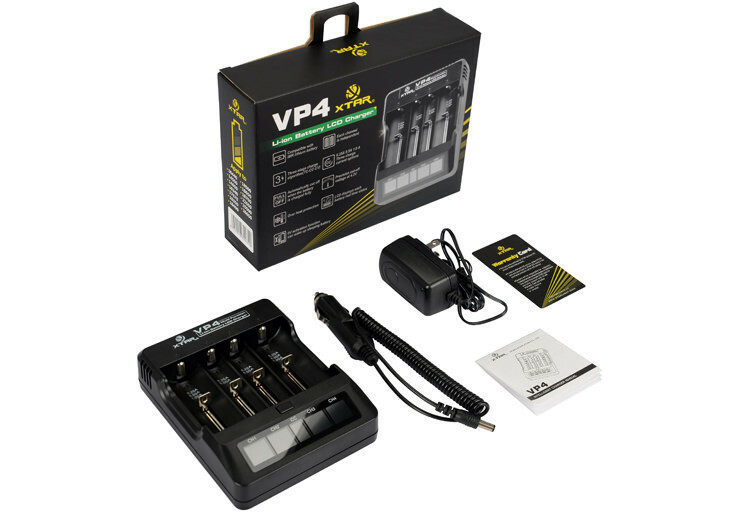 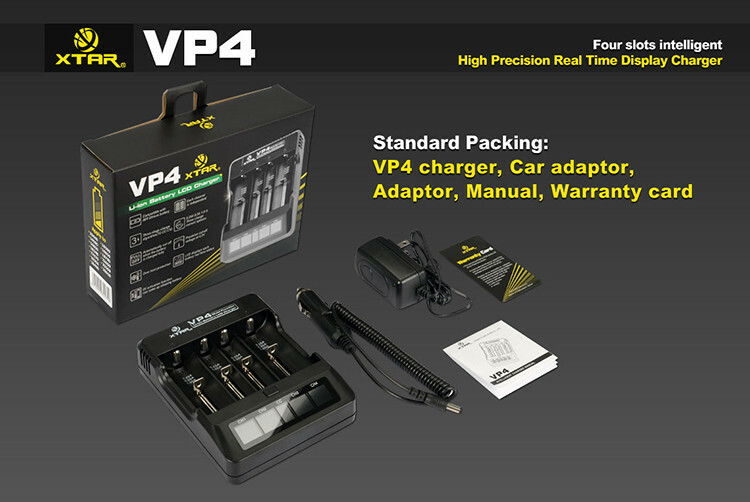 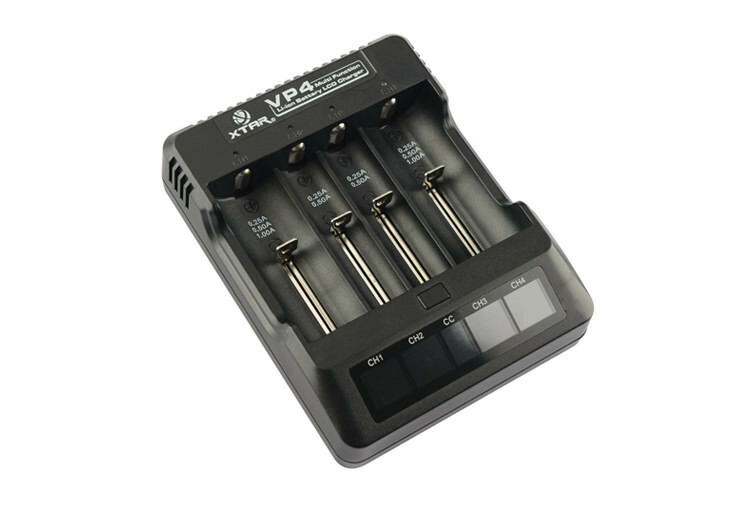 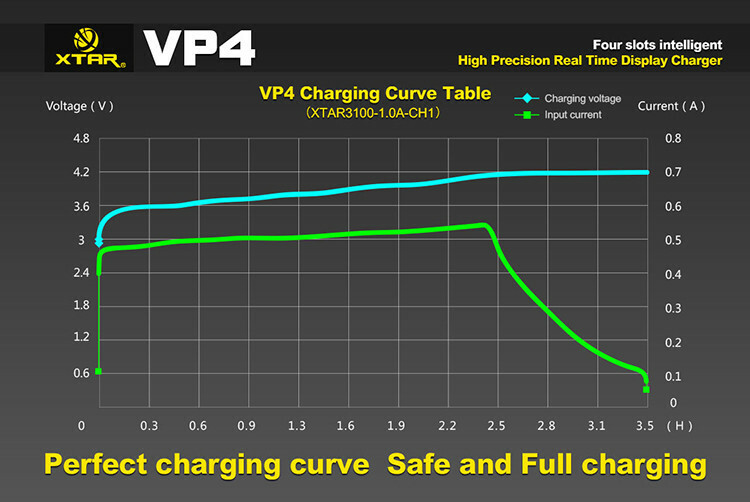 The XTAR VP4 charger is an intelligent 4-channel charger which has 4 completely independent ports. 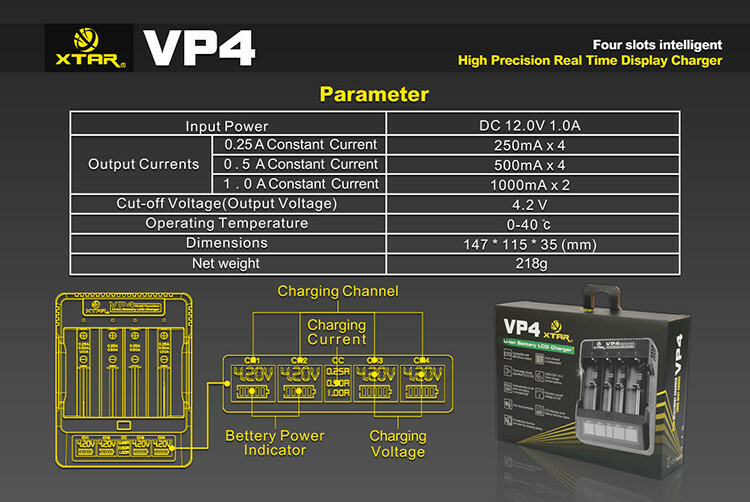 Charging currents can be adjusted automatically according to each different channel, and the user can also manually choose the current using the button switch. 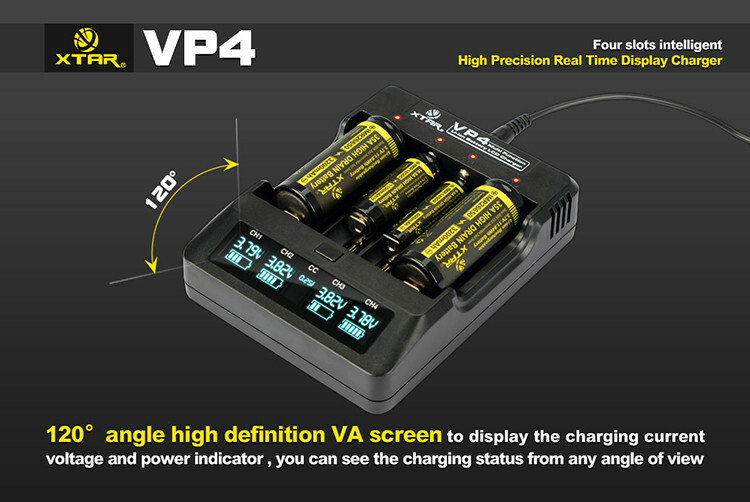 The screen offers the user the ability to read the charge time, precision battery cut-off voltage, displays battery power indicators, and optional currents. 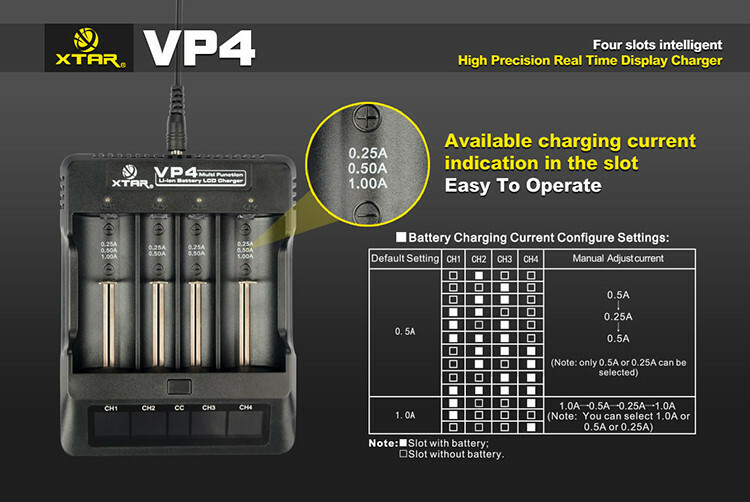 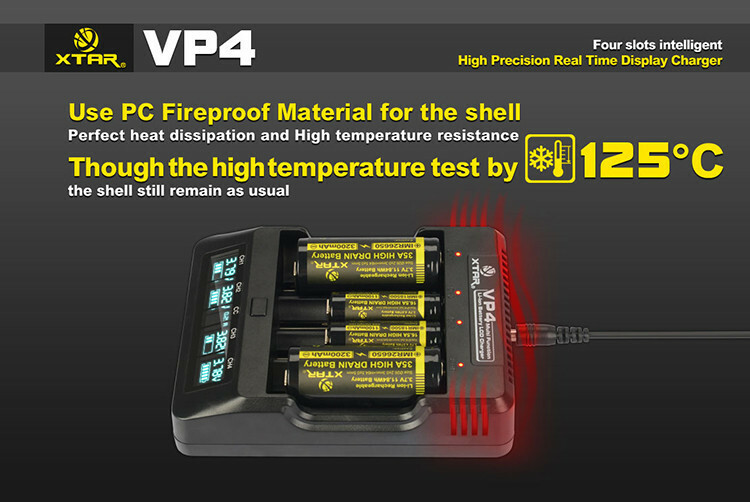 This is a great step up from the VP1/VP2 charger if you’re looking for 4-ports with an LCD screen.